BLANCO'S 2010 ANOTHER YEAR ANOTHER SUCCESS! We would like to thank everyone who came out to show their support for PugHearts at the Pugs at Blanco’s event Saturday night. We had a fantastic time and helped to raise funds and awareness about our rescue. It was great to see so many people bringing their furry companions (both pug and non-pug!) and we hope everyone had as much fun as we did. Hopefully next year will be even bigger and better (and maybe a bit cooler)! A big congratulations to the winner of our grand prize raffle for the 50" TV - Diane Rifai! 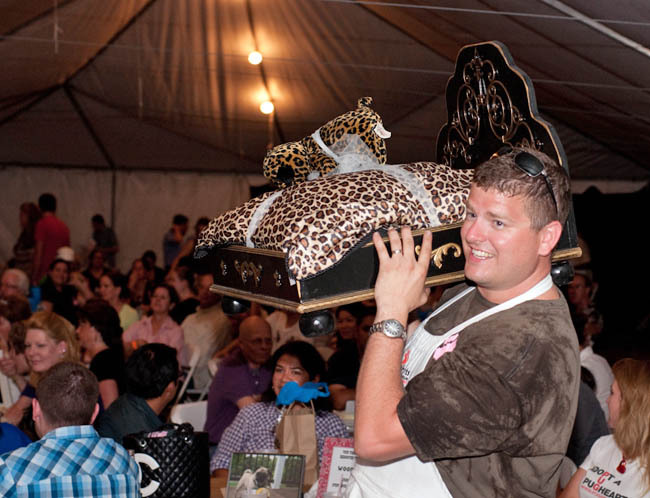 We’d also like to thank everyone who dug deep and bid so generously on our live auction and silent auction items. There was truly something for everyone this year. We would also like to thank all of our volunteers. They worked tirelessly and endlessly to ensure that this event was a success. Their efforts are what help make PugHearts what it is today. 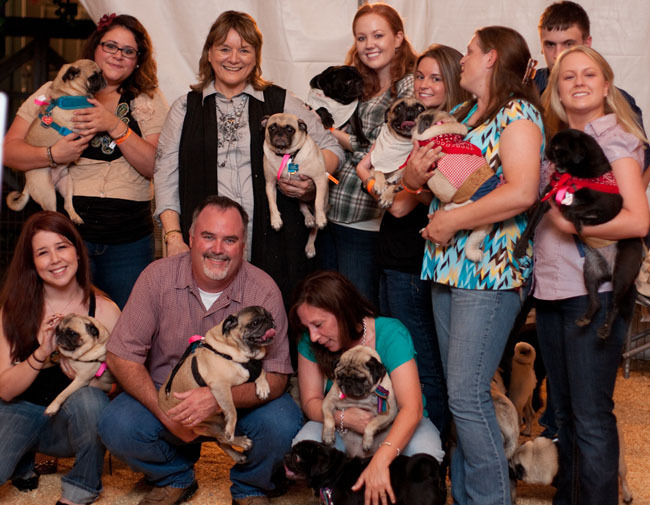 Without them we would not exist and the pugs of Houston would not have a safe haven. We would like to give a special acknowledgement to PugHearts’ 1st ever Volunteer of the Year - Mary Ludwig! Mary is a very special lady with a heart as big as Texas. She takes on some of our most challenging cases, our most needy rescues. Remember Cody - our first rescue suffering from a liver shunt? Mary stepped up to the plate and opened her heart and home to this little guy that had no chance for survival before coming into PugHearts. Cody is now living a healthy, happy life with his new family in OK following surgery to correct his condition. Mary helped make that happen. Then there’s Whitney - one of our first Hospice pugs due to her cancer. She is still with Mary, having outlived everybody’s predictions. Though she remains a Hospice pug and we know will never be healthy again, her life has been full of love and security thanks to Mary. Remember KC? Another dog we took in and placed on Hospice care with Mary due to his lung and breathing issues. Except Mary worked her magic with him and nursed him back to health. He is now with his new forever family enjoying his second chance at life. 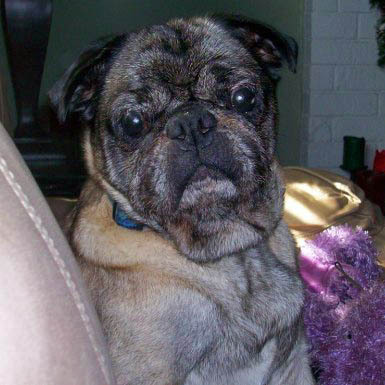 KC, brought back to health by Mary Ludwig, the PugHearts Hospice miracle worker! 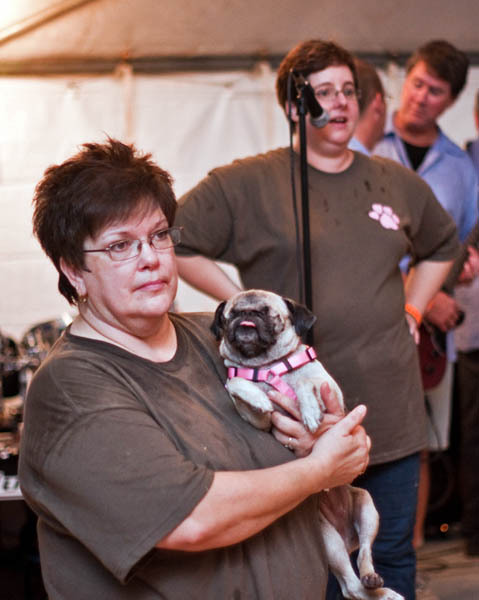 Mary has been with PugHearts since day 1 and has fostered dozens and dozens of dogs. She is an irreplaceable part of PugHearts and we are honored to have her as one of our volunteers. We thank you Mary, and we know if they could talk all the little puggies you have helped over the years would say thank you too! We would also like to take this opportunity to say a huge, public "Thank You" to the staff of Sugar Land Pet Hospital. We often sing the praises of Dr. Doug Hendrix (our very own Dr. Pugger) but we want all of the staff at SPH to know how grateful we are for all the support and care they give us and our rescues. In addition to Dr. Hendrix, Dr. David Brust has been with us from the beginning. He has been instrumental in helping us give our rescues the best medical care possible. And the practice has now grown to include a new veterinarian, Dr. Valeri Devaney. Often the doctors get all the glory, but we know that we owe a huge debt of gratitude to the entire staff at SPH. From the receptionists who take our frantic calls when we need to bring a dog in when they are ready to close, to the vet techs who do everything from walking our boarding dogs to administering treatments to handling the avalanche of paperwork and prescriptions for our crew, we cannot say a big enough thank you! And last, but certainly not least, we would like to thank you. 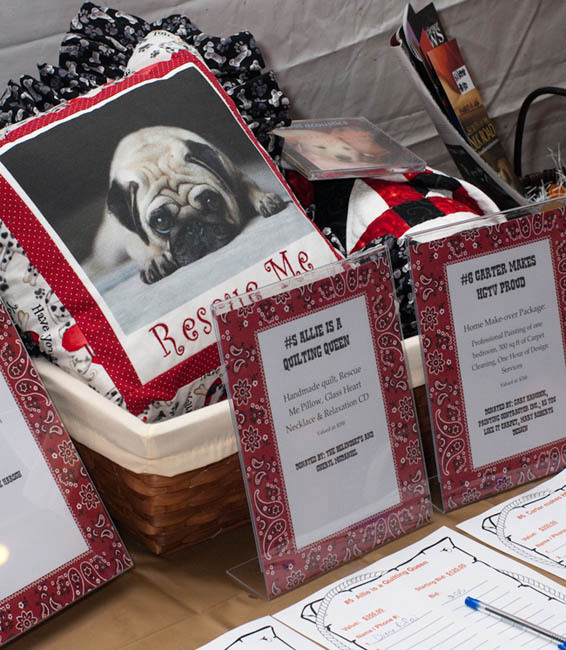 Your generous donations, your participation, your willingness to open your heart and home to adopt a rescue pug make you the critical link in our chain of rescue. Thank you.